Harvard Magazine recently published a mind-provoking article on the placebo effect. The article began with the recounting of a double-blind trial in which all the participants received a placebo, yet nearly a third complained of terrible side effects while another large cohort reported real relief. A strange result, given that the trial pitted placebo against placebo for the treatment of severe arm pain: half the participants received fake pills made of cornstarch, the other half sham acupuncture treatments with retractable needles. No one received a real treatment. Placebo comes from the Latin "I shall please", and the most basic interpretation of it is that patients get better to please their doctors. The more complex interpretation is that patients get better because they expect to, a demonstration of the power of mind over matter. The opposite of placebo is "nocebo", in which patients are harmed through the same mechanism. Study participants who reported experiencing unpleasant side effects, which they had been told they might have, were victims of the "nocebo" effect. The researcher who conducted this experiment, Ted Kaptchuk, had previously conducted one in which participants were told that they were receiving a placebo, and yet they still experienced relief from irritable bowel syndrome to the same degree as did participants in another study who received the active drug for the same condition. 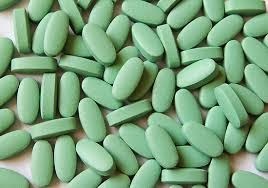 The placebo effect is now so powerful that for some drugs such as Prozac it can actually outperform the drug. And, apparently, as we have seen, it is powerful enough to work even when participants in the study are taking their daily pill from a container clearly marked "PLACEBO" on the label. 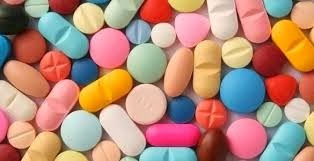 Studies show that the strength of the effect varies with the means of delivery: coloured pills work better than white, capsules work better than pills, and injections work the best. And the more the care and attention the subject receives during the delivery of the placebo, the better the outcome. A long time ago Bill Bengston told me that the most interesting area of research in all of medicine was the placebo effect. How did it work? What did it mean that it worked? And why wasn't it being researched more thoroughly? After all, all healing is self-healing. The body can do wonders to heal itself. An external agent such as a doctor or a healer or a pill might help bring about the conditions that allow the body to do the work it needs to do to heal, but the body still needs to do that work itself. Placebo is an important consideration in energy work. I have been told by many people skeptical about energy healing that all our successes are due to the placebo effect. Consider, then, how powerful the placebo effect might be, when a patient dying from stage-4 pancreatic cancer stops taking morphine after receiving a few sessions of energy healing, sees his jaundice reverse and his blood values return to near normal, is discharged from the hospital and lives ten more weeks, able to walk, to go the mall, to go to the cottage, even to cook dinner. If that is placebo, then we must acknowledge that the mind is powerful beyond belief, and that what medicine should concentrate on, above everything else, is the awakening of this incredible ability of the mind to heal the body. Yet medicine does the exact opposite. Recently I saw a TVO special about the incredible work being done by brain surgeons and after a while I just had to turn it off. I watched a mother being told that her child had brain cancer, and the surgeon, who I am sure was a kind and compassionate man, explained at great length to the viewers that the mother had to be made to understand the reality of the situation, which was that her child had a kind of cancer that nothing much could be done about and would most likely die. When doctors tell a patient (as I've seen one do) that she had a 10 per cent chance of survival with chemotherapy and 0 per cent without, they believe they are being merely realistic, but in fact what they are doing is activating the nocebo effect. Dr. Larry Dossey wrote an entire book about this entitled Be Careful What You Pray For; it is well worth reading. I do not know how much the successes we have seen in energy healing have to do with us activating the placebo effect, but I have seen surprising outcomes. A frozen shoulder healed in three treatments in the space of a week. Chronic knee pain vanishing after four treatments. Stage-4 cancer patients outliving their prognoses by months, or even a year or more, able to live actively while they do so. Animals responding to treatment with markedly improved health, sometimes even returning from the brink of death. If the effective ingredient here is energy healing, we should do more to study energy healing; if it is placebo, then hurray for the placebo effect, and shouldn't we start paying more attention?